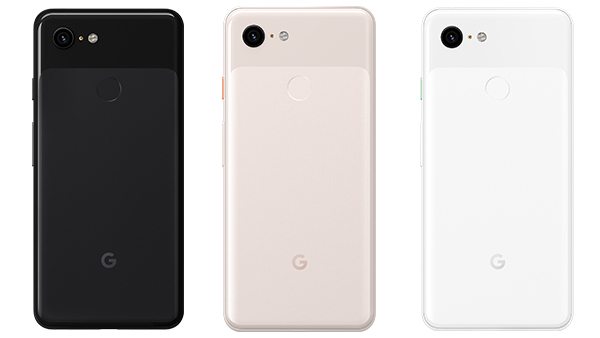 Google has just launched its newest smartphones – the Google Pixel 3 and Pixel 3 XL – the latter is a monster with a gigantic 6.3-inch display. And both have clever AI to help you take amazing photos. Read on for the latest on Google’s most feature-packed phones yet. The presentation kicked off in New York City with a montage of all the things you can do with Google Assistant, set to the music track ‘Help’ by The Beatles. The theme throughout was just how much Google’s AI will help you do things faster. Now, about those phones. Pixel 3 or Pixel 3 XL? Whichever phone you pick, Google hailed each one as the 'smartest and most useful device' you'll use. The design isn't too shabby either. There's a matte finish on the all glass rear, which Google says is a first of its kind. Its silky texture avoids fingerprints, so your phone won't look grubby after you hold it. The Google Pixel and Pixel 3 XL have amazing screens. We’re talking a QUAD HD+ OLED display on both. The big difference between the two is the size. Take your pick from the 5.5-inch Pixel 3 or the jaw-dropping 6.3-inch Pixel XL. The screens on both phones are crammed with technology to deliver super-sharp pictures filled to the brim with detail, but if you’re more of a mobile movie buff, the Pixel 3 XL will be hard to resist. That's because the screen extends all the way into the upper corners to give you the best view from any angle. Google calls it flexible OLED. Just like the Pixel 2 before it, the Pixel 3 is a master at photography, with some new tricks up its sleeve. On the rear you have a 12MP camera, and on the back, are dual 8MP cameras for selfies. Google's Pixel Visual Core technology is at the heart of what makes the camera faster and smarter. “We took the world’s best camera and put it in the world’s best camera phone”, Rick Osterloh, Senior VP of Google’s hardware division said. Top of the photo feature pile is something called Top Shot, which uses AI to help you capture better photos. For example, take a group photo, and the AI will find the moment where everyone’s smiling and their eyes are open. You won’t ever take a bad photo. Speaking about the new feature, Liza Ma, Google's Product Manager said: "Topshot solves the problem" of missing that special moment. How? It takes a series of HDR photos at once as soon as you press the shutter button. It then uses Google's AI to recommend the best picture. There are other photo features too, like Super Rez Zoom for better zoomed photos, and Night Sight - which is so good at taking low-light photos that Google says you will never use your flash when taking a photo again. There's also a Group Selfie Cam mode to help you squeeze more of the background in when taking a group or solo selfie. Photobooth automatically takes a photo as soon as it detects a smile, and you can also tap on moving subjects like people or even puppies to keep them in focus while capturing action scenes. The camera goodness doesn’t stop there. Pixel 3 and Pixel XL will also let you record video in beautiful quality 4K at 30 frames per second, and in slow motion in Full HD. They sound like a right pair of movie marvels to us. So, if you love sharing clips on Instagram, or want to record a quick video for YouTube, then Pixel 3 will do it justice. Expect performance to be nippy, thanks to a Snapdragon 845 processor. For storage the Pixel 3 comes with either 64 GB or 128 GB built-in. And both phones are IP68-rated for dust and water resistance. And that’s everything Google told us about Google Pixel 3 and Google Pixel 3 XL. 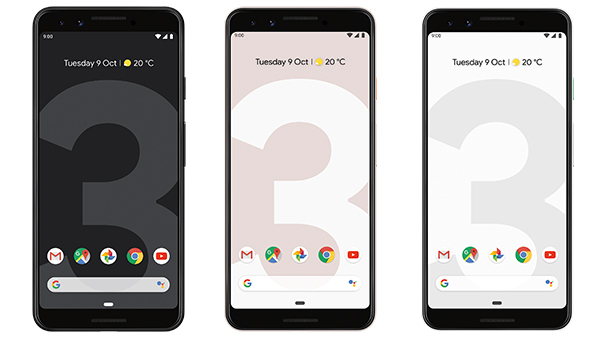 If you'd like to get your hands on one, you can order the Pixel 3 or Pixel 3 XL from Carphone Warehouse. As part of the deal, you'll get YouTube Music Premium worth £60 for 6 months. What do you think so far? Let us know your thoughts in the comments below.